Who is Better Letter Mailing Services, Inc. ? Better Letter offers complete start to finish mailing services for any mass mailing project you may have. For the past twenty years we have been providing our customers with everything from data processing and list management services, graphic design and printing services, to complete mail house and letter shop services. Our in-house print-to-mail production facility provides all of the addressing and assembly services required to get your mail designed, printed, assembled, addressed, posted, and in the mail stream quickly. Furthermore, our highly trained team of data processors, with our CASS Certified and PAVE Certified software systems, always ensure you're your mass mailing receives the maximum postage discounts. So, whether you need graphic design, printing, mailing lists, data processing, list management, lettershop services, or any other direct mail services... remember to call the friendly professionals at Better Letter. Better Letter Mailing Services, Inc. proudly serving Jacksonville and the entire north Florida service area. Q. 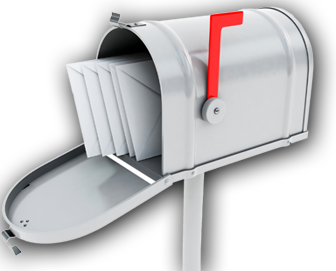 How do I initiate a direct mail campaign? Where should I start? Q. In order to do a direct mailing, do I need to go to the Post Office and purchase a bulk-mailing permit? Q. What is the minimum number of pieces that required to do a bulk mailing?